Regal Outsource provides end-to-end solutions for any business by adopting the latest technology along with market trend by accepting rigorous challenging task in the Domain and Software design, Programming, Implementations and Post Installation Support. CFLIM is Central Florida’s leading hospitalist group focused on the delivery of hospital medicine. 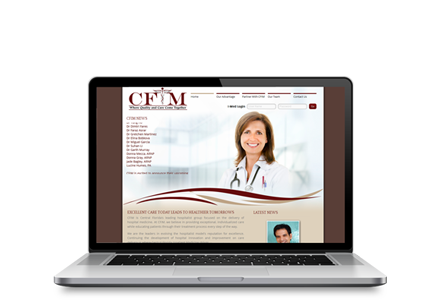 At CFIM, we believe in providing exceptional, individualized care while educating patients through their treatment process at every step. The Florida Arthritis Center, PL is focused on providing patients with the highest quality rheumatologic care. We have designed the website for cross platform devices and cross browser. CSS3 and HTML5 is used to make it more beautiful and compatible for all modern browsers.